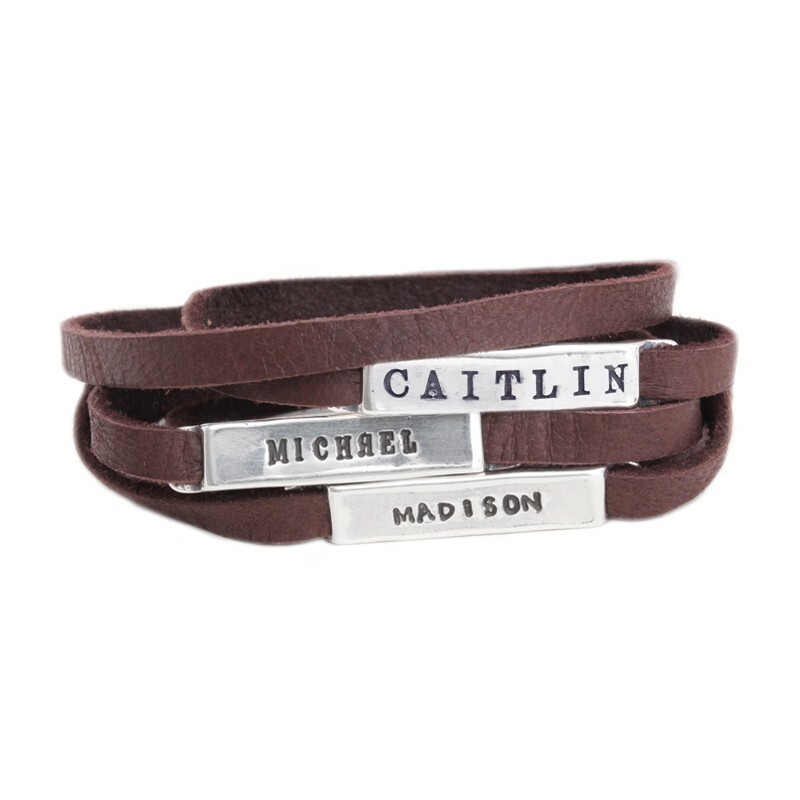 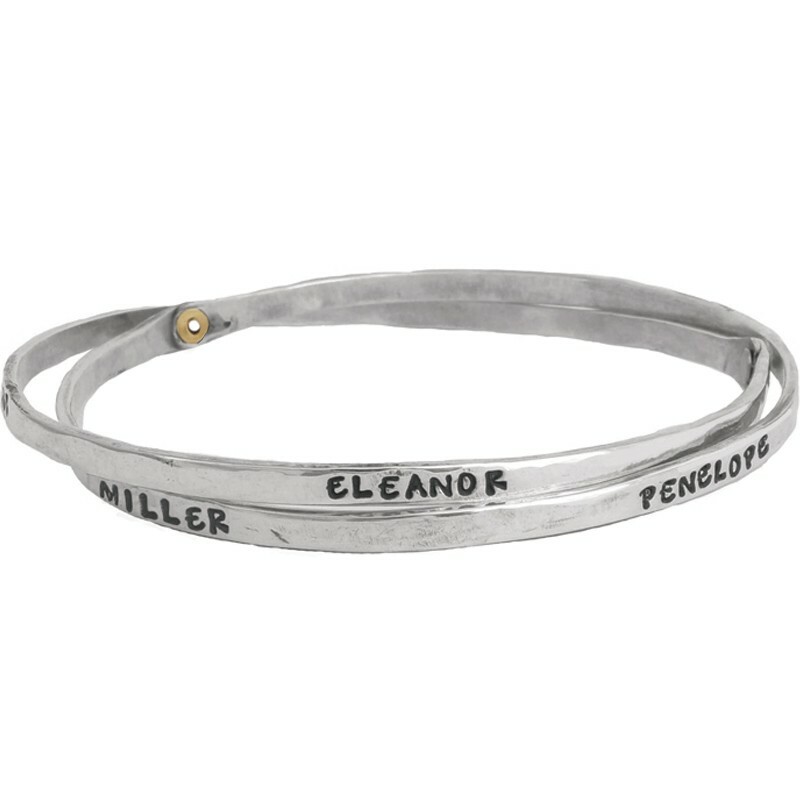 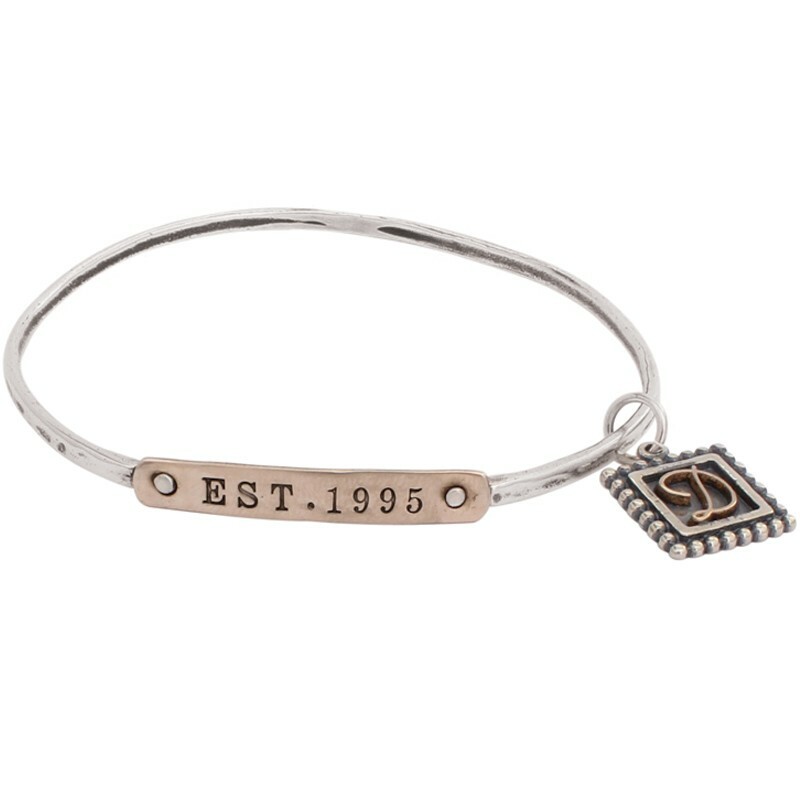 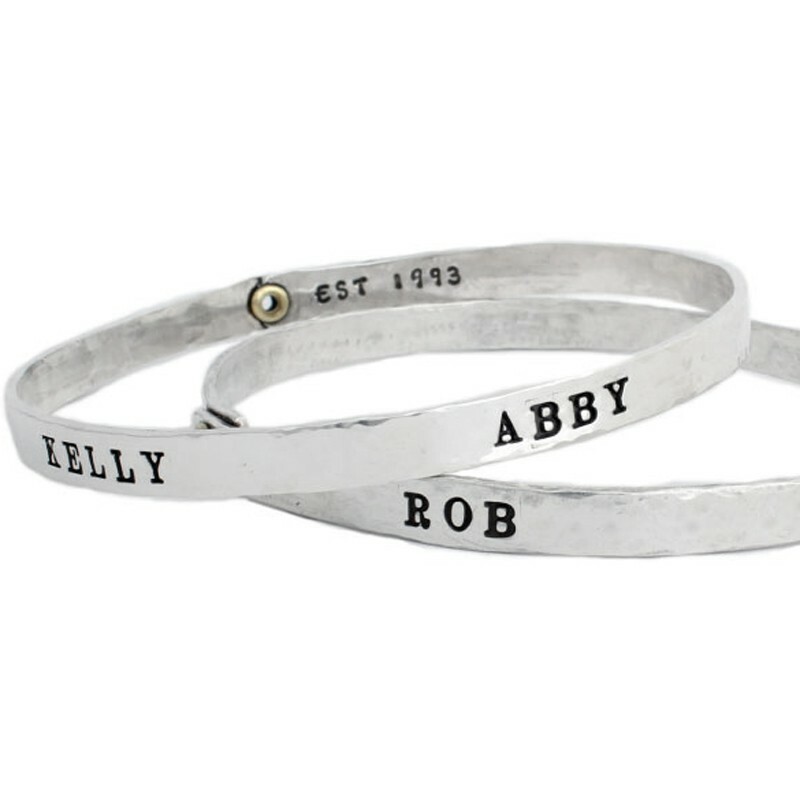 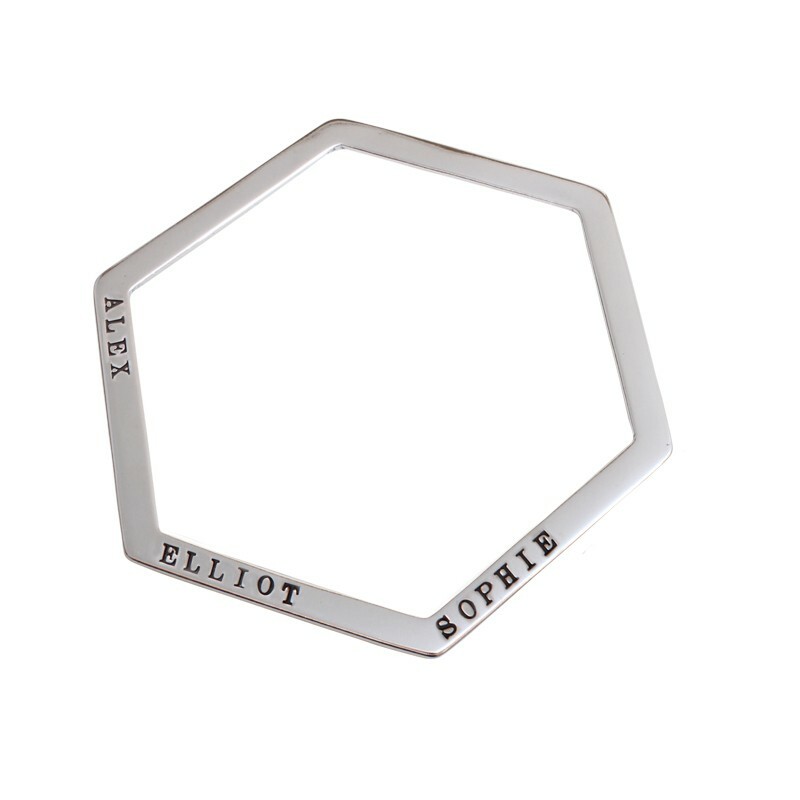 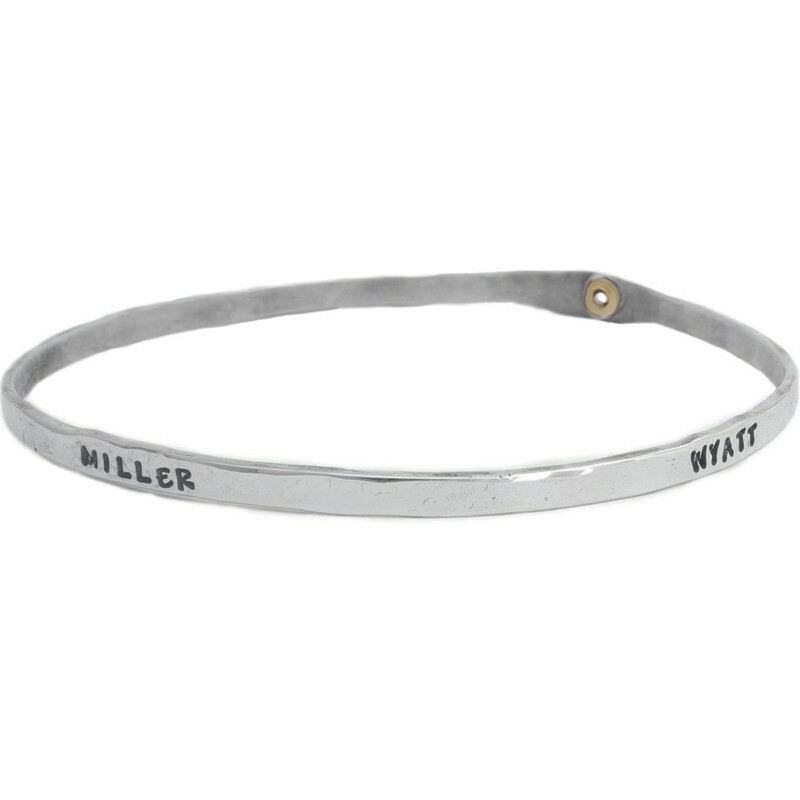 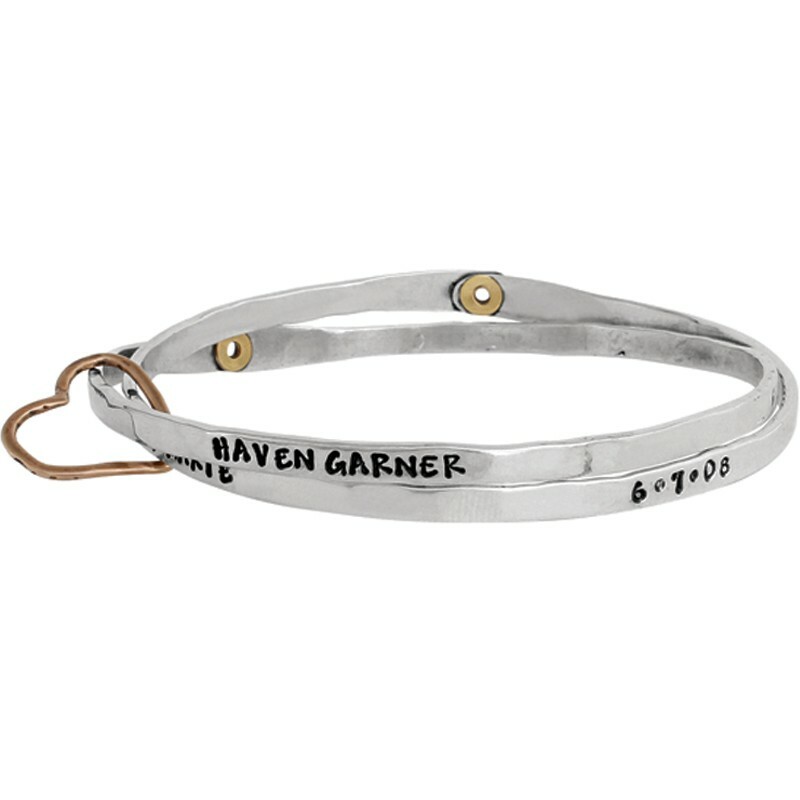 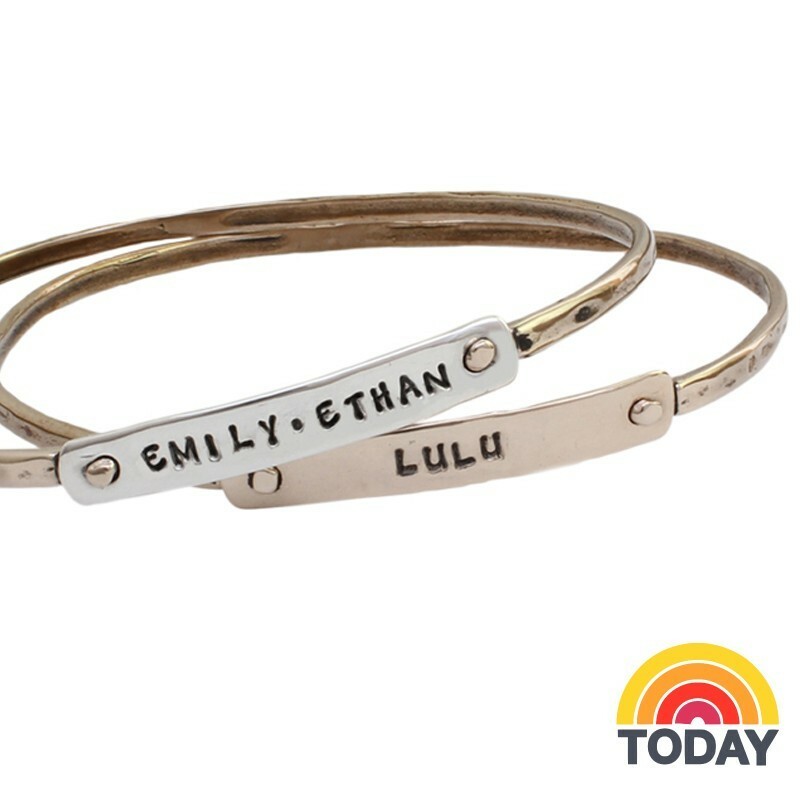 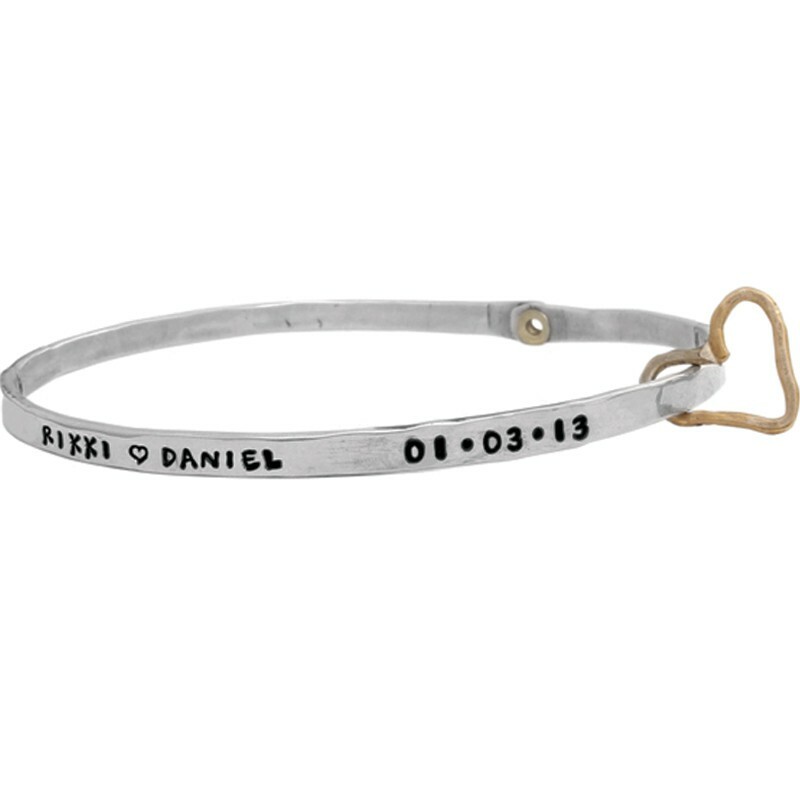 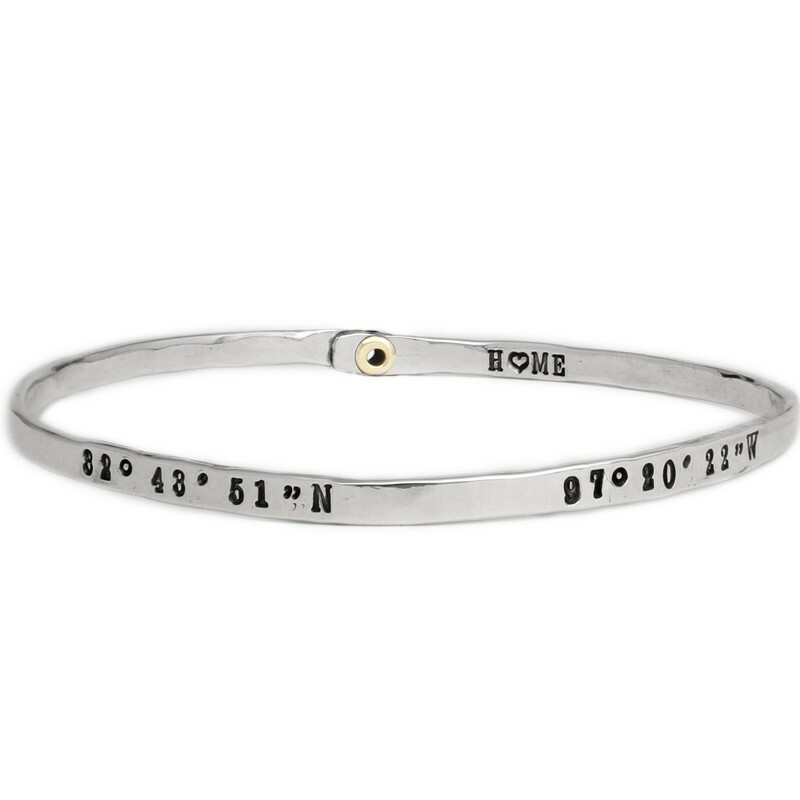 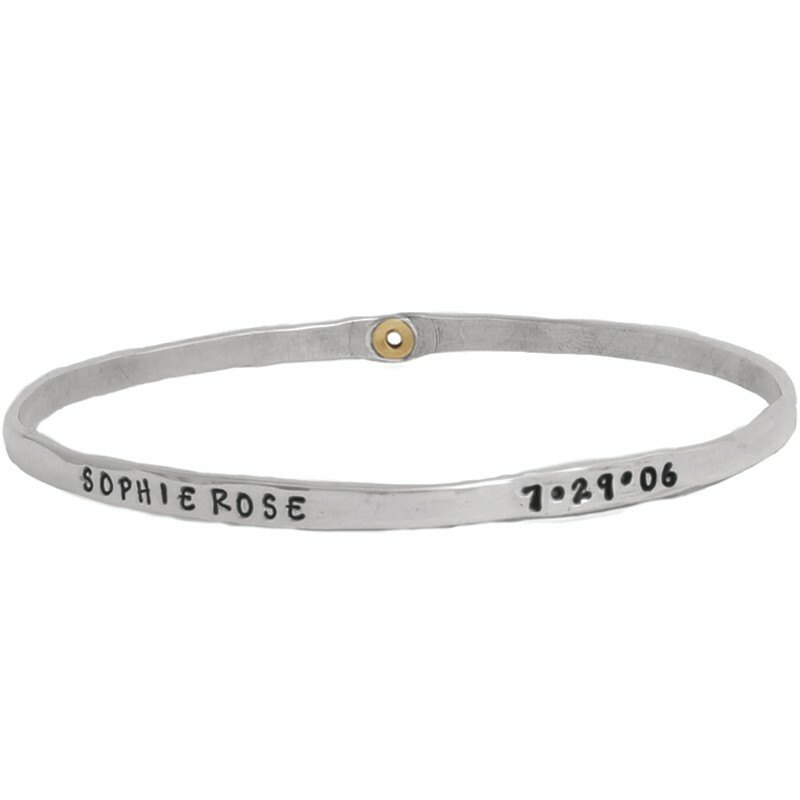 Browse our selection of custom hand stamped mother's jewelry such as our single, double and triple mother's bangle bracelets, or create your own charm bracelet by choosing from our selection of silver and mixed metal personalized charm bracelets for mom. 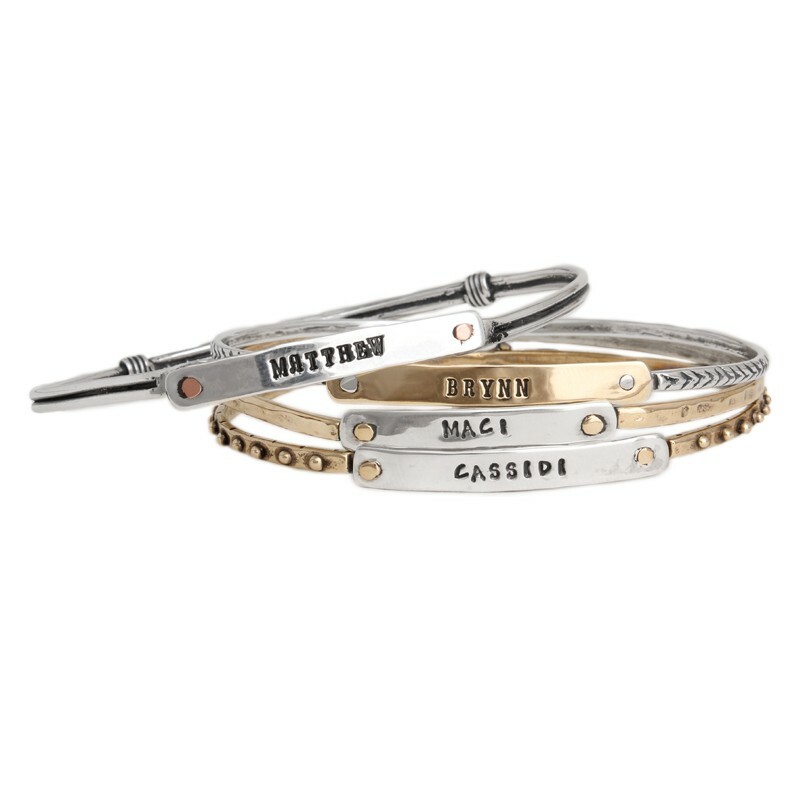 Show mom how much she is loved with this perfect gift! 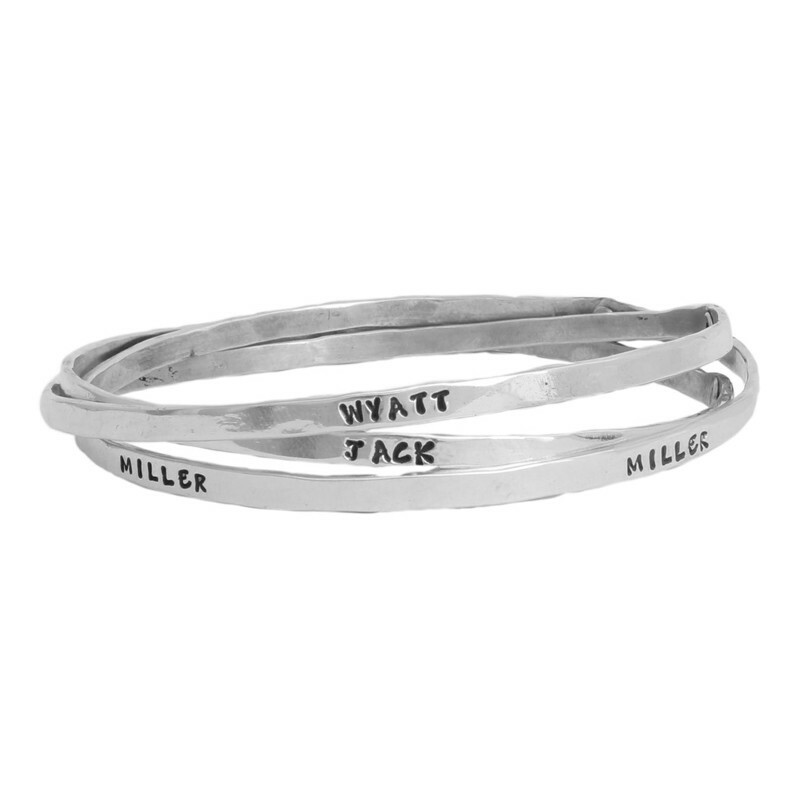 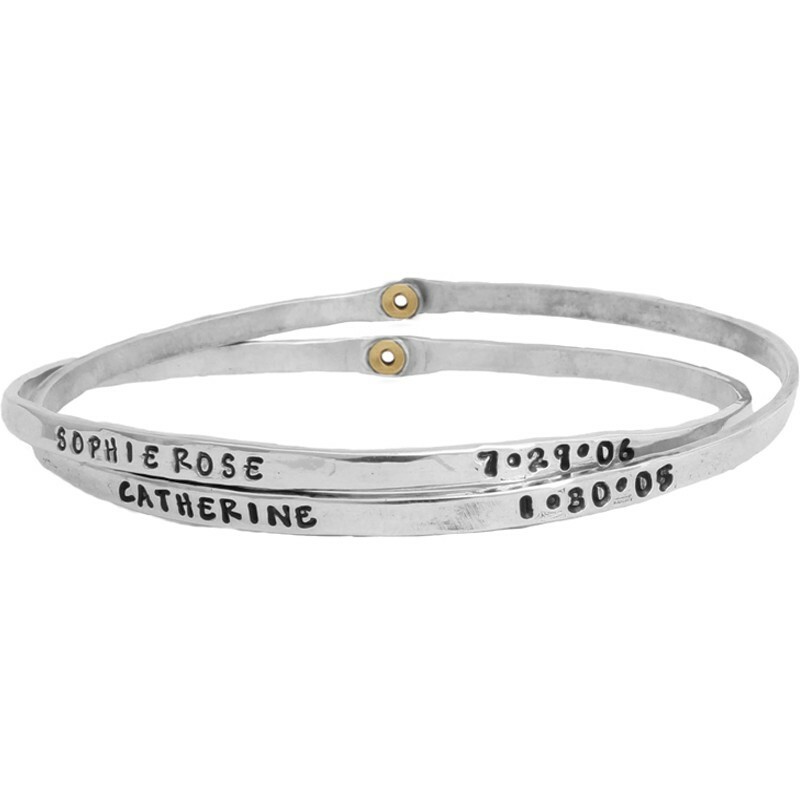 "Personalized Stacking Bangle Silver, Moment in Time Bracelet, Single"